TumTum River is a major tributary of upper Marys River, with its headwaters originating on Marys Peak, fed downstream to the main stem by Shotpouch, Scheele, Bark and Lasky creeks. This watershed is characterized by primarily industrial forest lands in the upper watershed and homesites and small acreages along the streams and lowlands. The TumTum River is one of four priority sub-watersheds in the Marys Model Watershed Action Plan (2009). The Watershed Council contracted a Rapid Bio-Assessment (RBA) of TumTum River that was completed in two phases. 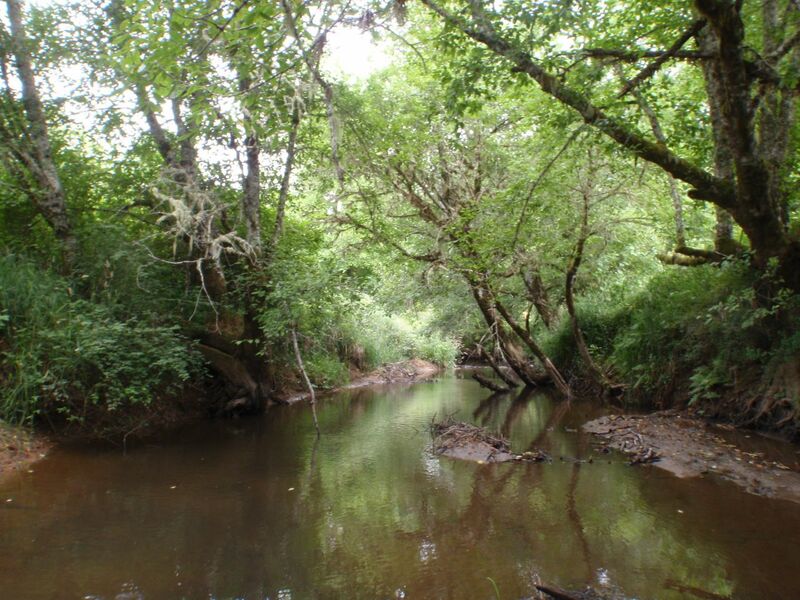 Shotpouch and Bark creeks were surveyed in 2009, followed by a survey of main stem TumTum River in 2010. Scheele and Lasky creeks were not surveyed due to lack of access permission from the landowner. During the summer of 2009, fish traps were placed in the river at river mile 5.6 where 36 cutthroat trout were observed migrating upstream, apparently to reach colder water. The trap also collected pea mouth, sand rollers, sculpin, dace and crayfish. The RBA identified that the TumTum River has three distinct reaches. Most of the first 5-6 miles has a channel that is about 5-6 ft deep. Off-channel ash swales and historic wetlands within this reach have the potential to provide needed slow water winter habitat. Much of the middle 5 miles has a much deeper channel that has been cut down through historic depositions of sandstone silts. Within this deep channel, only the highest winter flows reach the floodplain for short periods of time. The uppermost 3.5 miles above the mouth of Shotpouch Creek is much lower flow and displays a history of beaver activity. 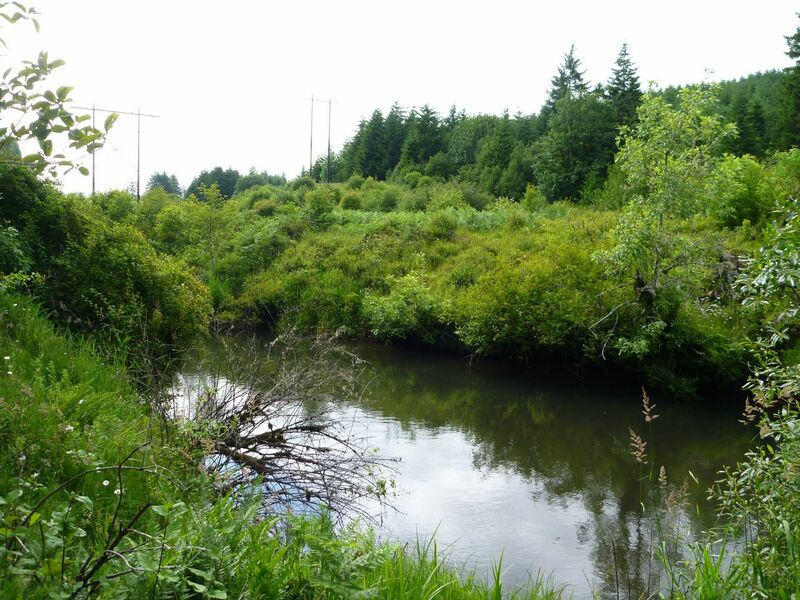 Interruptions in the riparian canopy of TumTum River are created by thirteen power line crossings and historic agricultural clearings.